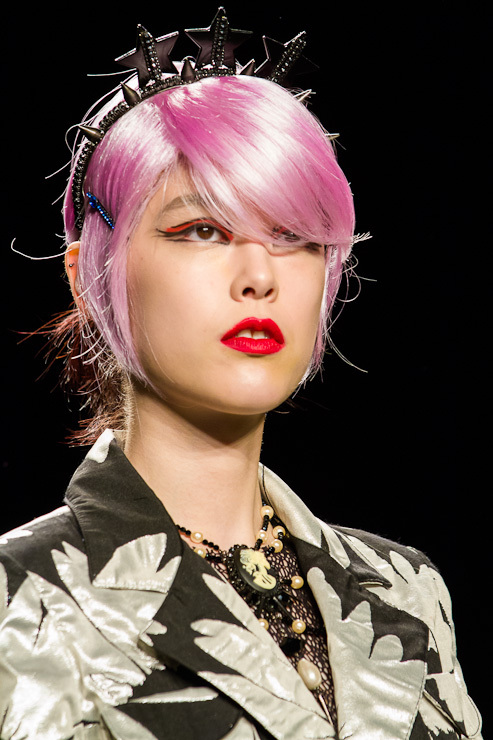 Anna Sui brings down the house again during New York Fashion Week. Her 2013 collection was an eclectic mix of Rock n’ Roll, Punk, Rockabilly and Goth inspired looks, with a splash of Pin-Up and ’80s glam. WHOA!!! That was a mouthful. I was so excited to see all of her chunky skeleton jewelry because we actually have similar pieces at Roadkill Ranch right now (yay me). The Ramones blasted as the cat walkers took the stage with their star-studded looks. It was a concert of plaids, florals, ripped fishnets, chunky spikes, buckles and skulls. Every outfit was layered with a mix of good and bad like lace with leather and pretty ruffles paired with torn and shredded pieces. So, pull out those old Doc Martins and pair them with your boho-chic maxi skirt, add a leather jacket and a big skull necklace and you’ve got the look. Or, take an old party dress, add some fishnet stockings and a denim jacket, then accessorize to the max for a badass day look. I’m loving all of the options for spring and am slightly reliving my 1980’s glory days. Only this time around, there’s no Aqua Net hairspray needed for the big hair look. 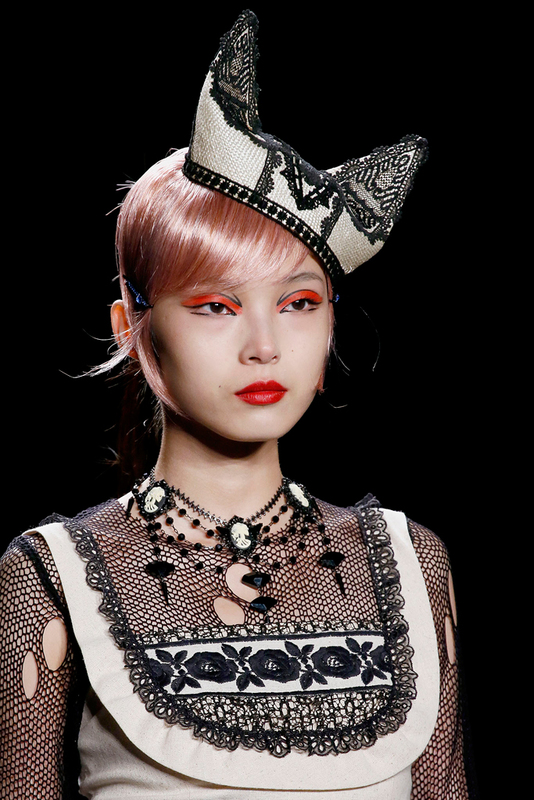 Headbands, cat ears and sparkly pins on tame, colored hair seems to be where we’re heading. People will always stare, so make it worth their while.